Our business checking accounts offer easy access to your money for your daily needs. To determine the most economical choice, compare the benefits of different checking account types with the services you actually need. Click here to reorder checks ⇒Deluxe Check Reordering Check order fees apply to all checking accounts. Free business checking account with monthly statements with no images of checks and no minimum balance. Business checking account with monthly statements, images of checks and a $500.00 minimum balance. 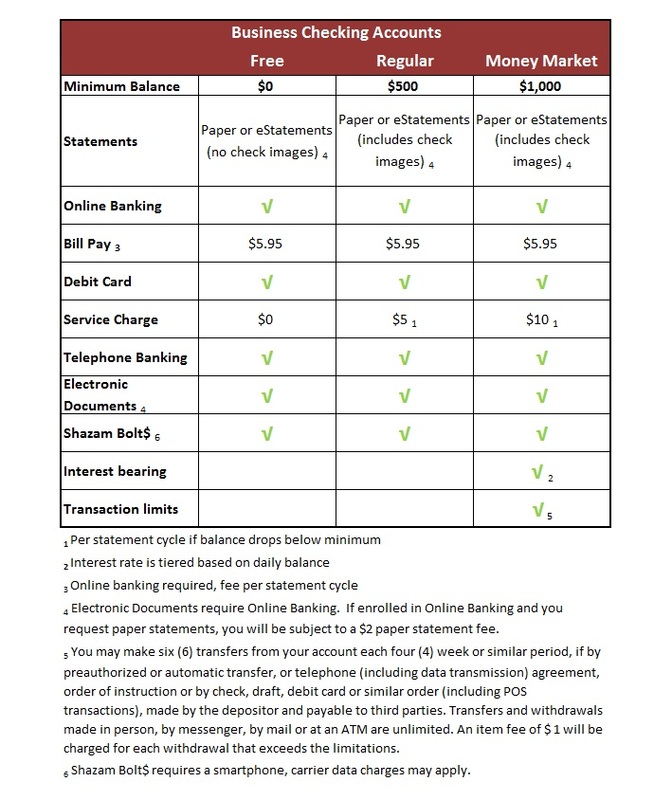 Tiered interest bearing business checking account with monthly statements, images of checks, transaction limitations and a $1,000 minimum balance. Additional terms, conditions and fees may apply. Select “Understanding Your Deposit Account” at bottom of page for additional information.